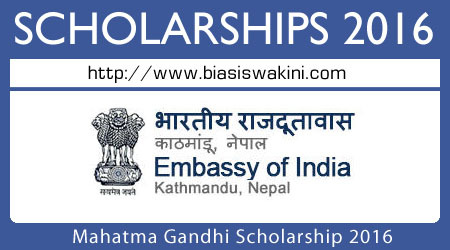 Embassy of India, Kathmandu invites online applications for Mahatma Gandhi Scholarship 2016 on prescribed data-sheets from Nepalese nationals enrolled in Class-XI in recognized schools/colleges in Nepal. 2000 scholarships are available under the scheme for the academic year 2016-17. - Candidate should be Nepalese citizen. - Candidates should be regular student of class XI and studying in any recognized school/college of Nepal. - Family income of the candidate must be less than NRs. 2,00,000/- per annum and income proof should be certificated by CDO/VDC will be acceptable. In case income proof is not certified by CDO/VDC then the application will be summarily rejected. - Selected students will get a scholarship of NRs.2,000/- per month in the first year. This will be continued in the second year also, provided that the awardee gets aggregate 50% or above marks in Class-XI. The scholarship will be discontinued if the percentage of marks obtained by the awardee falls below 50% in class XI or for any other reason that the Embassy may deem necessary. - The final selection will be based on academic record. - Name of candidates short-listed will be placed on Indian Embassy website. The candidates should indicate their address and contact telephone numbers/ e-mail address clearly on the online data sheet. Any change in address/ telephone number should also be intimated immediately through letter. - Girls, Dalits, Physically challenged students and students residing in the remote districts of Nepal are strongly encouraged to apply for the scholarship. - Children of retired/ serving Nepalese soldiers in Indian Army are required to furnish a certificate to this effect and send it through Assistant Military Attaché (welfare), Embassy of India, Kathmandu. This should be done in case they are selected and intimation of selection given to them. You will need to submit your application via Mahatma Gandhi online application form which can be click from here. - The Data-Sheet should be submitted online through Embassy of India website www.indianembassy.org.np/ischolarship. Upon successful submission, system would generate an automated acknowledgement slip having Batch No. and Acknowledge Number. Candidates are advised to print and keep it as proof of the submission of their application and for future reference/correspondence/enquiry. They are advised to check the Embassy website for any further information with regard to the scholarship scheme. - Candidates should upload their original scanned copy of i) photograph, ii) citizenship certificate of either student or father or mother, iii) mark sheet of Class X / SLC iv) Parental Income Proof Certificate, v) Study certificate from head of the current school/college & vi) Dalit/Janjati certificates only. Those candidates who do not possess a citizenship certificate can submit the photocopy of citizenship certificate of their parents. Original documents should only be brought on the date given by the Indian Embassy at later stage. Online data-sheet may be submitted between 20th September, 2016 – 14th October, 2016. Thereafter, the link for online submission would be deactivated. Note: Candidate please ensure, before filling up online form that the email ID is mandatory to each and every person and future communication from Embassy of India, Kathmandu would be done via this email only. 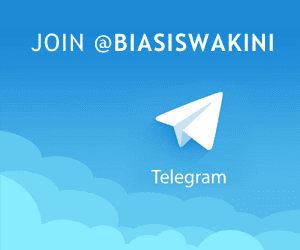 0 Komentar untuk "Mahatma Gandhi Scholarship Scheme 2016"